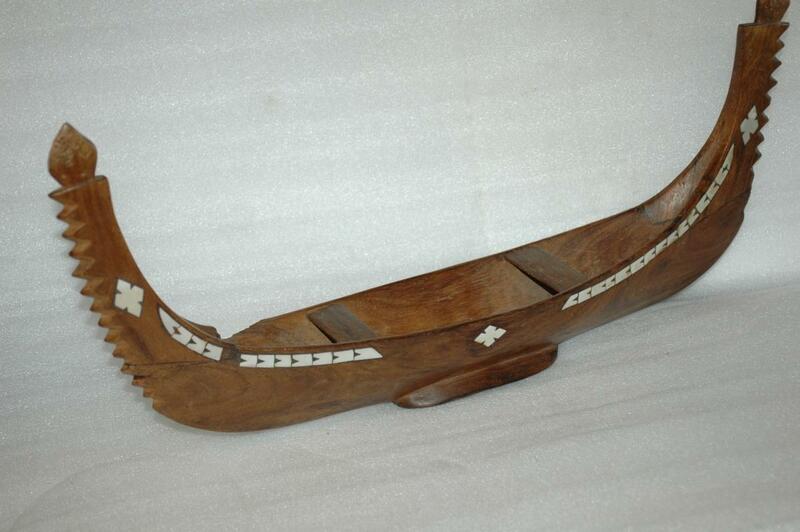 Hand Carved Samoan War Canoe with Mother of Pearl Inlay and seats. 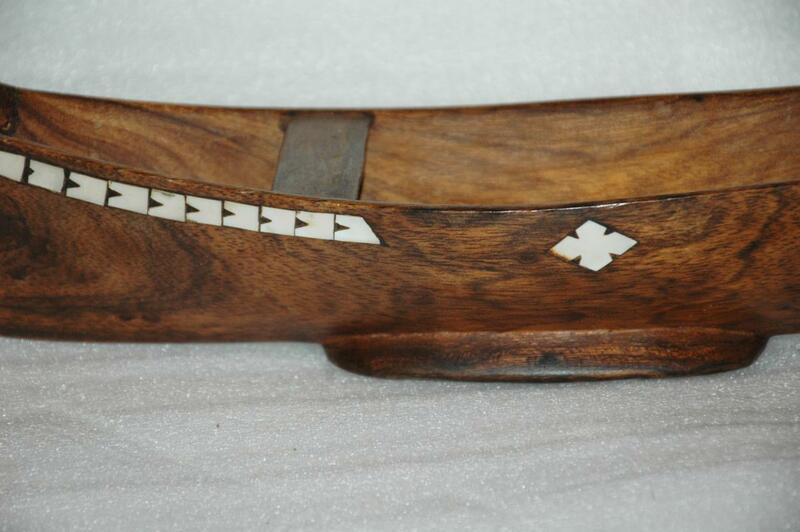 It is made with a tropical hard wood with lovely figuring. It is gondola shape. The tips on ether side has worm holes. There are joining seams on each end to join the flat part to the vertical section. Then it appears one end has been broken and repaired. The break is below the joined seam and it looks like a very sloppy repair job. There is a gouge and some shell tiles missing. 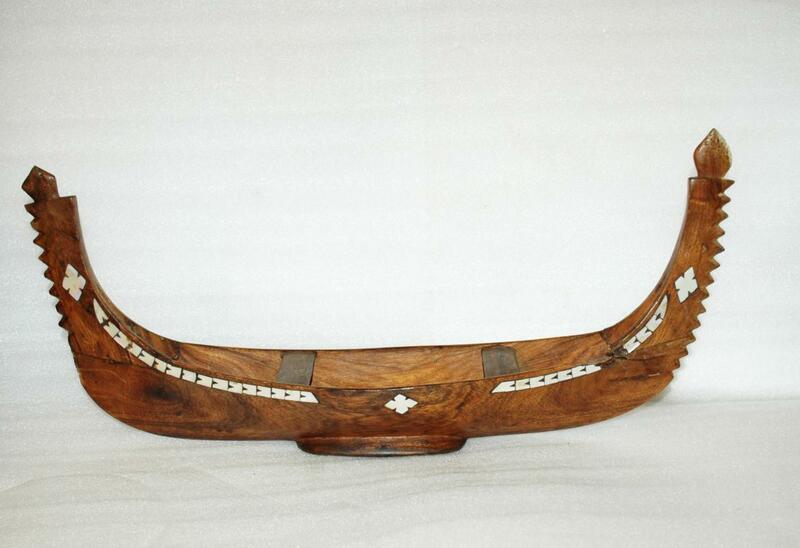 It is 15" long and 3" across the the widest point. 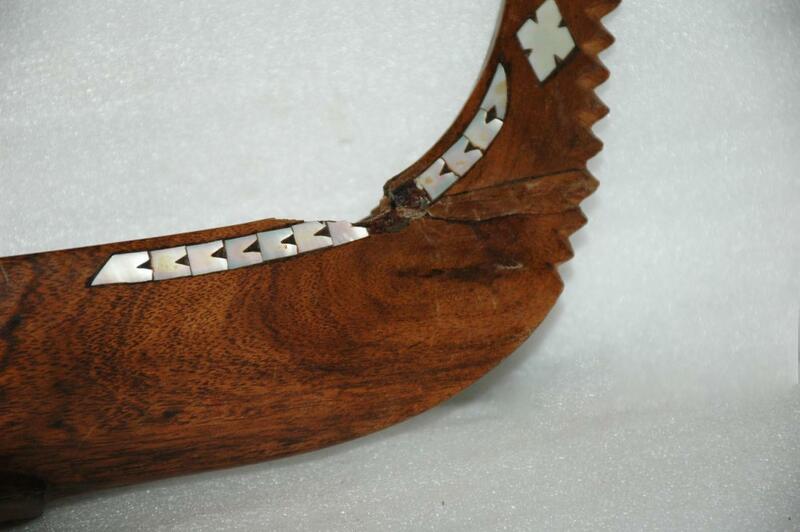 Items Similar To " Hand Carved Samoan War Canoe with Mother of Pearl Inlay"